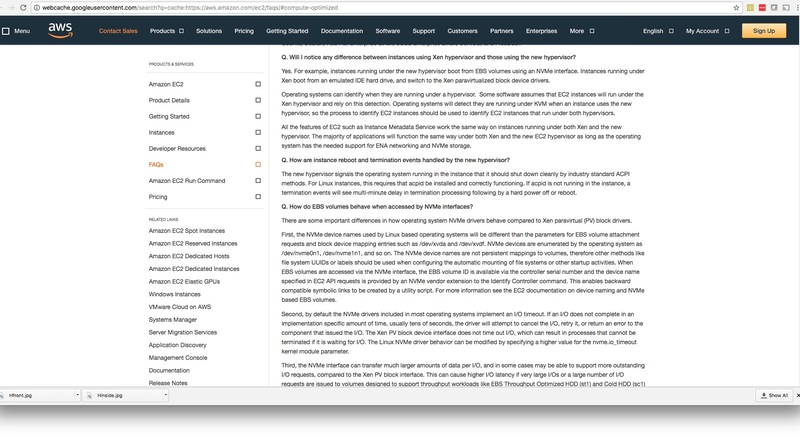 Amazon Web Services has quietly edited its FAQ in which it revealed it has created a new KVM-based hypervisor and will use it instead of Xen for future instances. The webpage now contains no mention of the hypervisor. But Google's cached record of the page does. And in case AWS manages to get that scrubbed, we grabbed this screen shot and this screenshot of the now-altered page. If you can still see references to the new KVM-based hypervisor on Amazon's dot-com, then you're seeing a cached copy: the information is vanishing. The Internet Archive took a snapshot of the site on Wednesday, and found not a word on the KVM development. From computers in California, Australia and Europe, we can only see the version of the FAQ that has been scrubbed of the new customized hypervisor. And our contacts in the industry have spotted the change, too. 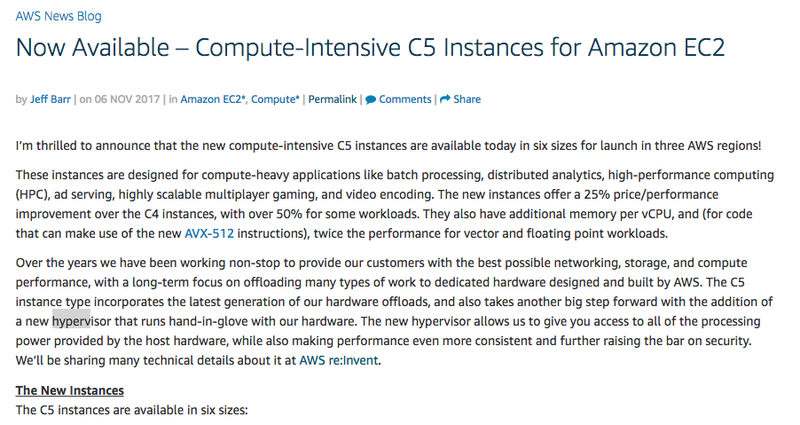 Amazon's announcement of its new C5 instances still mentions a new hypervisor. We've screen-capped that, too, here, and here, in case AWS shoves it down the memory hole. Why has Amazon done this? The company's already flagged it wants to talk about its hypervisor later this month at its re:Invent conference. We suspect it didn't mean for the information about the hypervisor to go public before then. Hopefully all concerned kept their jobs. And now a confession: Register hacks were pretty excited when we learned of the new hypervisor, and we missed a detail or two that we've now noticed as we re-read the FAQ. For starters, it looks like the new hypervisor is all about supporting servers with NVMe. Virtual machines running in it will boot from EBS volumes using an NVMe interface, rather than the emulated IDE drive used in AWS' implementation of Xen.